Cambridge Assessment English: Young Learners (YLE), give a consistent measure of how well 7–12 year–olds are doing in the skills of listening, speaking, reading and writing. Tests are designed to make learning fun and children are encouraged by working towards certificates and earning ‘shields’ that record their progress. Learning English and gaining the right qualification can give your child a head start in life, leading to improved employment opportunities and opening the door to studying and working abroad. Children who learn English when they are young have an advantage that will stay with them all their life. The sooner they start learning, the better – with the right methods, they can learn English quickly, effectively and enjoyably. Even the most basic certificate is a start on the pathway to qualifications that are useful for work and study. Making learning a new language enjoyable is an important part of encouraging progress and building confidence. 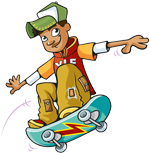 Cambridge English: Young Learners encourages younger children to work towards three certificates, Starters, Movers and Flyers. By using engaging materials, children build real language skills that develop into a good grasp of English. Download the document Young Learners 2018 update - What’s new? Pre A1 Starters is the first of three Cambridge Assessment English: Young Learners tests specifically designed for school children aged between 7 and 12. Pre A1 Starters sets your child off on their language learning adventure, introducing them to everyday written and spoken English in a fun and motivating way. 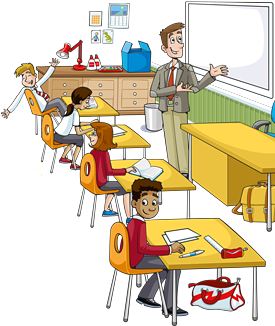 The test is designed to be fun and motivating to give your child the confidence to show what they can do in English. It leads naturally to the next level of the test, A1 Movers, encouraging your child to make progress and develop their learning. The Cambridge Assessment English: Young Learners tests are specially tailored to suit the interests of schoolchildren, so they increase their motivation to learn English. Because the tests are based on familiar topics and situations, they give your child the confidence to use their English and inspire them to do well. At Cambridge English, we believe that learning should not be stressful for children. By enjoying their studies, reading, listening and speaking in English come naturally. As their confidence develops, they will want to learn more and use English to a more challenging level. For children to take full advantage of the opportunities that tomorrow's world of work will offer, knowledge of English is an important asset. It is, therefore, best for your child to work towards certificates that are accepted by thousands of educational organisations and employers throughout the world. The Cambridge English: Starters Listening test has four parts. Each part begins with one or two examples. Your child will hear each recording twice. For the Listening test, your child must remember to take coloured pencils or pens (red, blue, green, yellow, orange, pink, purple, black, brown and grey) and an ordinary pen or pencil. The spelling and vocabulary on the printed test papers is British English. However, your child will also hear American accents in the Listening tests and also some American English vocabulary. British or American spelling is accepted for the written answers. The Cambridge English: Starters Listening test has five parts. Each part begins with one or two examples. For all the parts of the Reading & Writing test, your child must spell their answers correctly. For the Reading & Writing test, your child only needs a pen or pencil. The spelling and vocabulary on the printed test papers is British English. However, British or American English is accepted for the written answers. 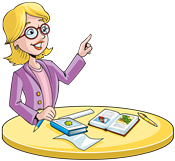 The Cambridge English: Starters Speaking Test has five parts. Your child takes the test alone with the examiner, but someone who speaks your child's language (maybe someone your child knows, like your child's teacher) will introduce your child to the examiner. A handy guide to the exam, with an overview of what’s involved and examples of papers. You can use this book to help children get better at English and learn new words. It has many of the words children have to learn for the Cambridge English: Starters test. Children should be ready to start preparing for the next Cambridge English exam – Cambridge English: Movers – if they achieve a total of 10 or 11 shields, or above. A1 Movers is the second of three tests specifically designed for schoolchildren aged between 7 and 12. A1 Movers shows a child is beginning to deal with everyday written and spoken English at a very basic level. This motivating test will develop your child’s confidence so they will want to learn more and use English to a more challenging level. When children learn English, it is important that they learn English which is practical and useful. It is important that they learn to speak good English and that they work towards international standards that will prepare them for study abroad or the international world of work. complete basic forms, and write notes including times, dates and places. Preparing for A1 Movers will give your child these kinds of practical language skills. The Cambridge Assessment English: Young Learners tests are specially tailored to suit the interests of school children, so they increase their motivation to learn English. Because the tests are based on familiar topics and situations, they give your child the confidence to use their English and inspire them to do well. A wealth of materials is available to help you and your child prepare for the tests. The Cambridge English: Movers Listening test has four parts. Each part begins with one or two examples. Your child will hear each recording twice. For the Listening test, your child must remember to take coloured pencils or pens (red, blue, green, yellow, orange, pink, purple, black, brown and grey) and an ordinary pen or pencil. The spelling and vocabulary on the printed test papers is British English. However, your child will also hear American accents in the Listening tests and also some American English vocabulary. British or American spelling is accepted for the written answers. The Cambridge English: Movers Listening testhas six parts. Each part begins with one or two examples. For all the parts of the Reading & Writing test, candidates must spell their answers correctly. For the Reading & Writing test, your child only needs a pen or pencil. The spelling and vocabulary on the printed test papers is British English. However, British or American English is accepted for the written answers. The Cambridge English: MoversSpeaking Test has four parts. Candidates take the test alone with the examiner, but someone who speaks your child's language (maybe someone your child knows, like your child's teacher) will introduce your child to the examiner. You can use this book to help children get better at English and learn new words. It has many of the words children have to learn for the Cambridge English: Movers test. Children should be ready to start preparing for the next Cambridge English exam – Cambridge English: Flyers– if they achieve a total of 10 or 11 shields, or above. A2 Flyers is the highest of the three Cambridge Assessment English: Young Learners Tests. As your child develops and works their way up to the A2 Flyers certificate, they reach a level that will enable them to aim for Cambridge English: A2 Key or Cambridge English: B1 Preliminary - exams which lead to certificates internationally accepted for work and study purposes. The Cambridge English: Flyers Listening test has five parts. Each part begins with one or two examples. Your child hears each recording twice. For the Listening test, your child must remember to take coloured pencils or pens (red, blue, green, yellow, orange, pink, purple, black, brown and grey) and an ordinary pen or pencil. The spelling and vocabulary on the printed test papers is British English. However, your child will also hear American accents in the Listening tests and also some American English vocabulary. British or American spelling is accepted for the written answers. The Cambridge English: Flyers Listening testhas seven parts. Each part begins with one or two examples. For all the parts of the Reading & Writing test, your child must spell their answers correctly. For the Reading & Writing test, your child only needs a pen or pencil. The spelling and vocabulary on the printed test papers is British English. However, British or American English is accepted for the written answers. The Cambridge English: Flyers Speaking Test has four parts. Candidates take the test alone with the examiner, but someone who speaks your child's language (maybe someone your child knows, like your child's teacher) will introduce your child to the examiner. You can use this book to help children get better at English and learn new words. It has many of the words children have to learn for the Cambridge English: Flyers test. Children should be ready to start preparing for the next Cambridge English exam if they achieve a total of 10 or 11 shields, or above. Children can use the Picture Bank to make flash cards with new vocabulary. The words in the Picture Bank are grouped the same way as the Cambridge English: Starters.